We live in the world of the informed consumer, spoiled by choice and convenience. As people experience the fast shipping times of modern e-commerce, they will put these same expectations onto other vertices as well. Shipping consultants can help you keep up with creative solutions like using efficient warehouse technologies. Because distribution centers can be your main logistics bottleneck, optimizing this part of your supply chain can make a big difference in your shipping times. Consultative 3PLs optimizes your route with tech like picking automation and RFIDs to move goods quickly. Consultants should help determine the best shipping option for you before shipping your cargo. Be careful of companies who want to dive straight into a transaction. A true consultant will take time to understand your organization’s individual goals, and only then can they find the best solutions for your business. If you’re shipping across long-distance routes or have predictable delivery schedules, adding rail transport to your supply chain could be an ideal solution for your organization. With intermodal transport, you enjoy the fuel and labor efficiencies of rail with the flexibility and speed of truck freight. 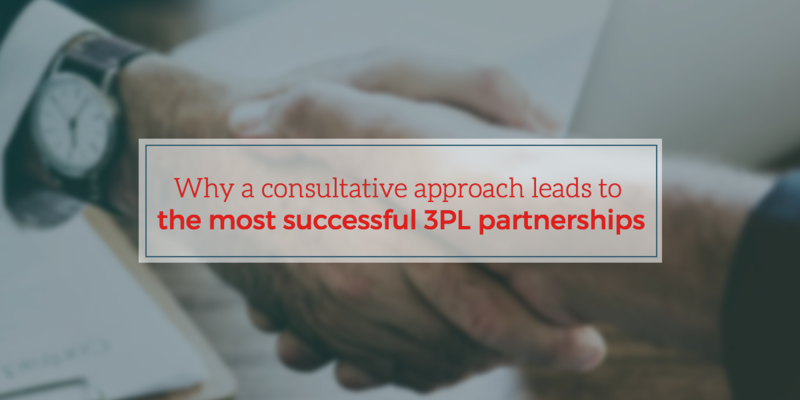 An asset-based 3PL can use their own equipment to make your routes more convenient and cost-effective. A consultative shipping partner will let you know if their assets no longer align with the best route for you and help you find the best solution. Check to see if they compared prices with a robust partner network and chose your route based without bias. Looking at the quality of your shipping partner’s operations is crucial. To find quality shipping partners, look to see if they have the Customs-Trade Partnership Against Terrorism (C-TPAT) certified. These organizations maintain exceptional standards for safeguarding your cargo and help streamline your operations. C-TPAT certified companies get access to “green lanes” to reduce costs and speed up movement through customs. C-TPAT certified partners must also remain involved with every part of the customer’s delivery process. This lets them provide you with more visibility into your supply chain. Good logistics partners understand the first contract is an opportunity to form a long-term strategic relationship. The consultative approach allows partners to engage more and better analyze your entire supply chain to get the lowest prices and most reliable shipments. Once they learn about your business, they can offer advice like inbounding raw materials to manufacturers, optimizing time-of-day deliveries, and reducing the drop-off distance at rail and dock ramps. Bracing delicate cargo to prevent damage down the road. Expediting important shipments when routes are (or will be) delayed. Ensuring you have adequate labor to pick up cargo at ports. Offering white-glove or one-off services for unique customer requests. At CAI Logistics, we don’t just offer logistics services—we offer sustainable business value and reduced risk for our partners’ operations. Whether it’s using our C-TPAT certified processes to prevent international delays, building predictive models to avoid bad routes, or finding creative solutions for optimizing your supply chain, our aim is to build a shipping partnership that serves you. Learn how our extensive experience and expertise can help you reach—and exceed—your business goals.